This is a foreign exchange guide to Columbia, the Colombian Peso currency plus COP transfers and travel tips. Colombian Peso exchange rates - latest & historic exchange rates. What is the Colombian Peso currency code and symbol? The three letter currency code for the Colombian Peso is COP and the symbol is $. Which countries use the Colombian Peso? It is the domestic currency in Columbia. The interactive chart below shows the USD to COP exchange rate for the previous 3 months with rate alerts for days when the exchange rate moved up or down significantly or for 30 day highs and lows. Colombia is South America’s second most populated country and it is home to an astonishing 10% of the world’s biodiversity. The country is emerging from the dark shadow of its reputation for kidnapping and drugs to become the highlight of many people’s visits to South America. It’s the new “it” spot to visit (and move to). Fans of history and archaeology will enjoy Bogota’s many museums but will be truly impressed by the Tierradentro, Lost City, and San Agustín sites. Colombia's equatorial position affords it a diversity of landscapes matched by few countries. A slight tinkering in altitude takes you from sun-toasted Caribbean sands to coffee-strewn, emerald-green hilltops in the Zona Cafetera. Continue to climb and there's Bogotá, the bustling cradle of Colombia and third-highest capital city in the world. Throw in another few thousand meters and you'll find snowcapped peaks, high-altitude lakes and the eerie, unique vegetation of the páramo (high-mountain plains). 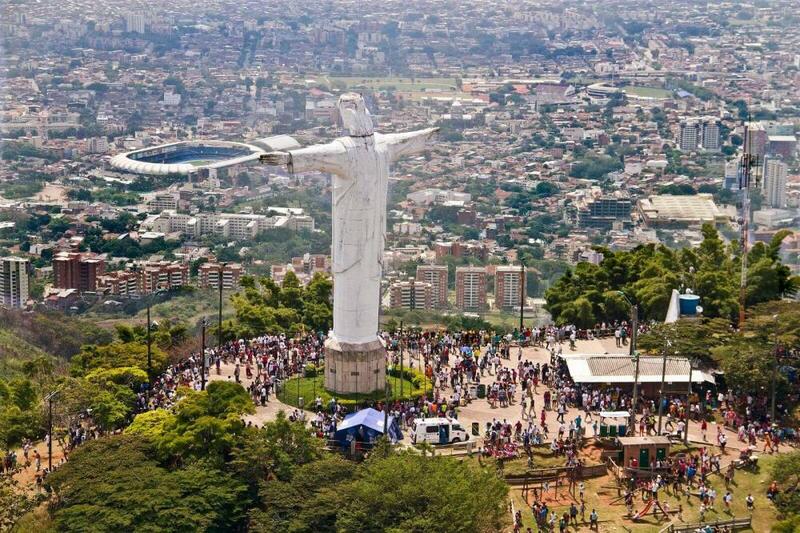 Cristo Rey is a statue 26 meters tall located in the Cerro de los Cristales in the village of Los Andes. What currency to use in Colombia? The local currency is the Pesos, however in columbia, as with most countries in South America it is often a good idea to travel with a combination of currencies to have along with your credit card. Sometimes foreign cards may not be accepted at ATMs and often cash is the only way to pay so have some local currency and some US dollars on hand as well as you can generally pay with USD everywhere. However in some cases the only ATMs that give USD are at airports and major banks. Small towns may not have ATMs at all. Make a point to check your bank account for strange withdrawals as cards get skinned fairly often. 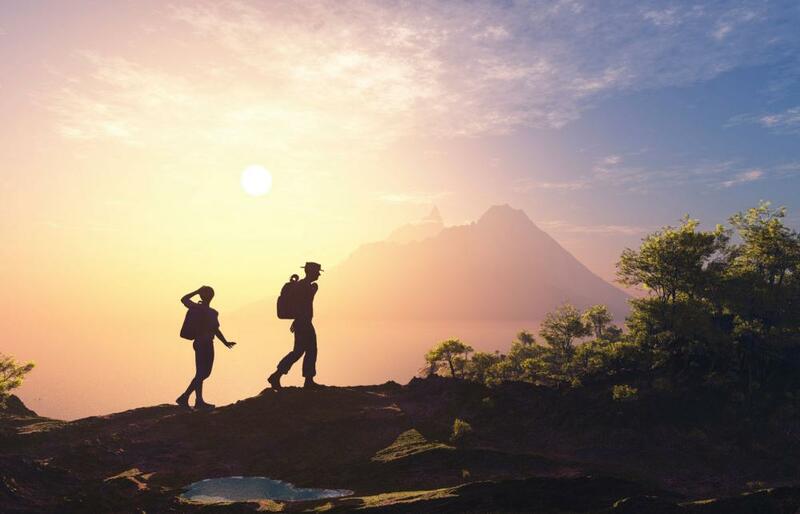 Be sure to have travel insurance when traveling in South America, you could consider choosing a credit card that comes with complimentary travel insurance. The Castillo San Felipe de Barajas is a fortress in the city of Cartagena. How to get around in Colombia? 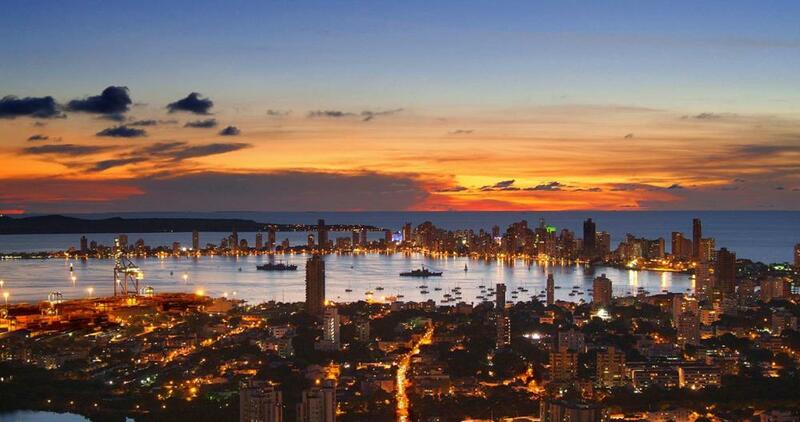 The easiest way to cover the huge distances between big cities in Colombia, air travel has become more accessible lately with the advent of budget airlines, and booking in advance can make it a very reasonable way to travel. Nearly all cities have airports, as well as many smaller, remoter towns. While flights are normally more expensive than a bus on the same route the difference is not always that great – especially on longer, high-volume routes. It's not worth taking a bus from Medellín to the Costa to save COP$30,000. It's also cheaper to purchase online than in agencies and airline offices. Some airlines have different prices depending on which version of the website you are on – make sure to visit the Colombian page for the best prices. The main way to get around Colombia, buses range from tightly packed colectivos (shared minibuses or taxis) to comfortable, air-conditioned, long-distance buses, and connect nearly every town in the country. Buses are the principal means of intercity travel, and go just about everywhere. Most long-distance intercity buses are more comfortable than your average coach-class airplane seat, and the overnight buses sometimes have business-class-sized seats. Wi-fi is now pretty much standard on nicer buses. Colombia today is far safer and more accessible than it has been in decades. Most guerrilla and paramilitary activity is confined to rural areas near the border with Panama and Venezuela. However, it’s important that you stay abreast of current events. Crime does exist, particularly in poor neighbourhoods of the big cities, but tourists are far more likely to encounter pickpockets, so keep an eye on your belongings. Almost every urban center of more than 100,000 inhabitants has a bus service, as do many smaller towns. The standard, speed and efficiency of local buses vary from place to place, but on the whole they are slow and crowded. City buses have a flat fare, so the distance of the ride makes no difference. Colombia’s capital is a mishmash of architecture: skyscrapers tower over intricate churches and cafe-lined plazas. Bogotá also has excellent museums with free entry on Sundays (be sure to see the Museo del Oro, one of the world’s largest collections of gold). Take in incredible nightlife that goes late into the morning. Colombia has some of the worlds most iconic treks. Save money and time by Ordering your Colombian Peso online from Travelex, you get better rates and can pick up the COP cash locally or even on travel day at the airport. For card purchases if offered a choice of currencies always select to Pay in Colombian Peso otherwise you may get much worst exchange rates. Compare COP travel cash rates - probably why you are here! When searching around for information on how to get a good exchange rate when sending money to Columbia you need to start with finding out the latest Colombian Peso foreign-transfer exchange rate. Once your funds are received by the provider the converted COP amount will be transfered to the recipient account you specify in Columbia. Use our Send to COP calculator to compare the exchange rates of FX specialist providers rates versus your bank's standard rates you can hopefully save around 5% and maybe more - end result is more Colombian Peso deposited into the recipient bank account and less margins and fees kept by the banks!